SW2 is a postcode in London worth sending a postcard home about. 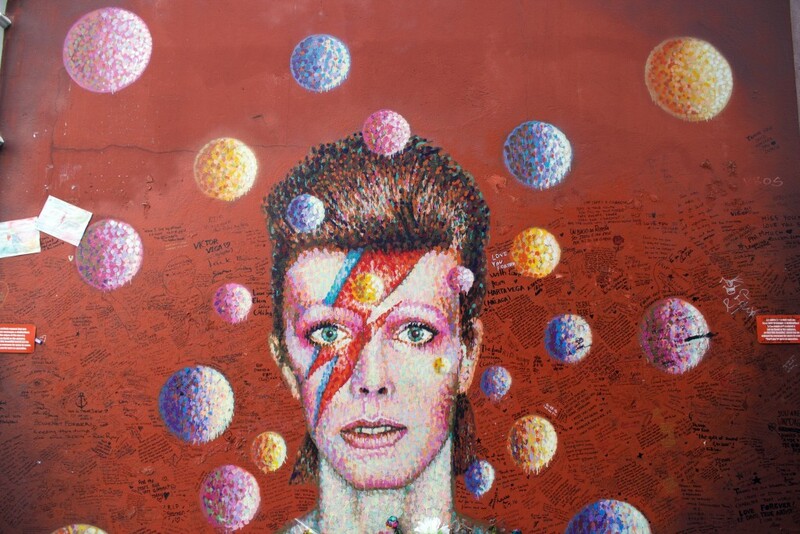 Located in London’s southwest, the ever-so-colourful Brixton, the childhood neighbourhood of David Bowie, is steadily transforming itself into becoming one of London’s most sought-after areas for life’s simple pleasures of eats, sneaky drinks, and materialistic wonders. The aura of Brixton is a vibrant one with a strong sense of community and a pleasant mishmash of cultures (largely of Caribbean descent) and its checkered past a bygone era. Stroll out of the station and take either left or right where you will find yourself in the heart of Brixton’s hive of activity. The Brixton Market on the partially revamped Electric Avenue (the left turn) is a daytime favourite with the locals for cheap and fresh produce, cheap homewares, and clothing. This no-thrills market takes things back to basics with its canopy-covered vendors and smells of fresh seafood and meats wafting through the street. It is the unpretentiousness of this strip that gives this long-running market its raw charm. With Brixton appearing back on the radar, plans are in place to restore this Victorian-era strip back to its former glory days as a vibrant and premium shopping destination for locals. Colour blocking is certainly a thing at Pop Brixton. 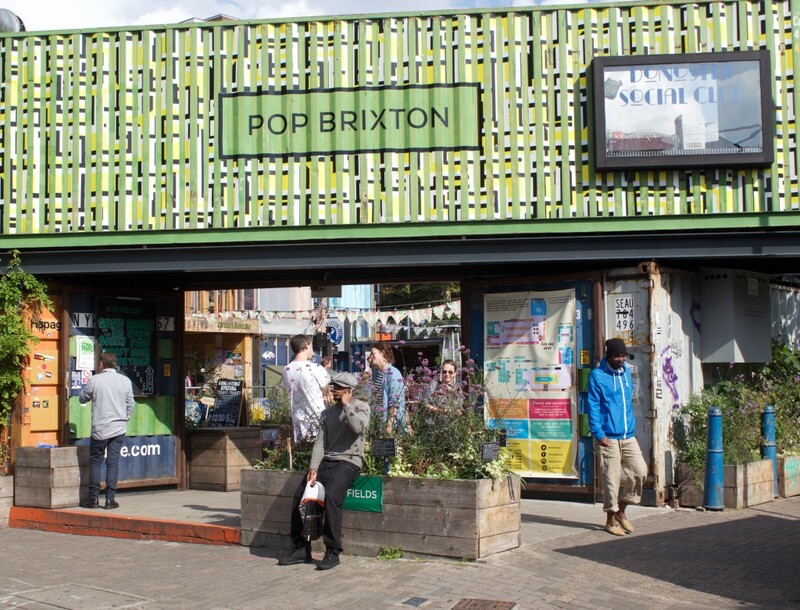 Housed in a scramble of brightly coloured shipping containers, Pop Brixton is the latest kid on the block following the ‘upmarket’ street market trend sweeping across London of pop-up bars, inexpensive street eats, and independent and start-up stores all rolled into one. It’s certainly making use of its locale (occupying previously disused space) with its fibreboard walkways and upper and lower floor seating spaces, making it one adult playground. Expect new age twists with old flair among both the food and goods on offer. Despite the space it covers, the range of flavour stretches far and wide with salt beef bagels, Caribbean jerk chicken, the old faithful donut, and Vietnamese street food all given a Brixtonisque makeover. To make it a cosy affair, head to its upper shipping container restaurants and get your fork into caramelised chunky plantain chips at Ghanaian fusion pop-up Zoe’s Ghana Kitchen, or flavour dance with small plates at Donostia Social Club. Of course, food is best enjoyed with a beverage in tow and there is plenty of choice on tap with New Zealand wines and local boutique beers mixing in with the usual bar suspects at its four bars. Off-the-wall items are up for grabs with boomboxes in suitcases and African street wear injecting quirkiness to its entrepreneurial scene. But it isn’t just about blatant consumption and bags attached to the hand, with Pop Brixton also supporting social enterprises to benefit the local community, including wellbeing and art classes and housing a community garden. 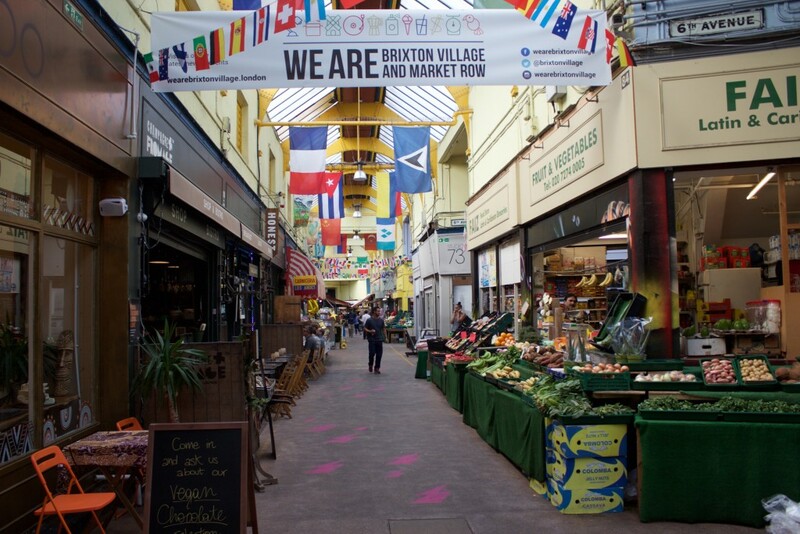 Before Pop Brixton, there was only one village in town, Brixton Village. Together with nearby Market Row, it brings together the flavours of the world under one naturally lit roof. Walk down the indoor market streets of both Brixton Village and Market Row and you will come across shops selling all kinds of oddities mixed in with fresh produce. Nighttime tells another story with restaurants spilling out with people seated on stools along the indoor boulevard. This is the birthplace of popular eateries including the brightly trimmed Caribbean outlet Fish, Wings & Tings (which is a favourite among London residents for its salt-cod fritters and is beloved by renowned chef Andrew Zimmern). It doesn’t just stop with the food with plenty of niche bars reinventing the late-night scene. Popular haunt Blues Kitchen brings on the jazz while the soulful vibes are felt on the dance floor of Latin American-themed bar Barrio. If you crave an intimate setting, relatively new to the scene is red storefront The Courtesan mixing yum cha with cocktails in a warm wood setting. Grand Union Brixton offers one of London’s best beer gardens with its cartoon-like setting of caravans, small bonfire, cabins, and lots of colour splashed across its gardens. It is this backyard setting that captures Brixton’s unique character — a collective of far-reaching cultures and scenes that somehow, although seemingly mismatched, sit in perfect harmony together. To dance your way back to Brixton Station wouldn’t be something out of the ordinary. Most often than not there are local reggae buskers beating to the rhythm of the drums and creating hypnotic beats that unleash good vibes all around. It certainly sums up the overall vibe of Brixton: loud, energetic, and mesmerising, and one worth singing (and dancing) about.